Ready to lose your tattoo? Do it better and faster with PicoSure. 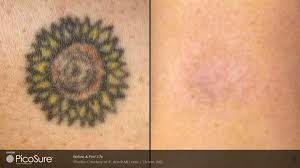 For patients struggling with tattoo regret, Glow Md Laser MedSpa at The Dermatology Center offers treatments with the PicoSure laser. Developed by the skin laser company, Cynosure, this new device uses a combination of light waves and a specialized lens to create bursts of pressure waves that stimulate the skin’s natural repair processes. However, unlike traditional skin lasers, PicoSure was designed to produce less heat damage to surrounding areas. 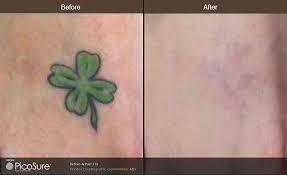 It is a skin laser designed to remove tattoos. However, there are several things that make this device different from other lasers on the market. Firstly, it uses shorter bursts of light. Many lasers today deliver bursts in nanoseconds, or a billionth of a second. PicoSure, on the other hand, uses picoseconds, or a trillionth of a second. The goal of shortening these bursts is to reduce the amount of heat delivered to the skin and the associated damage to the surrounding tissues. Secondly, it utilizes a special lens on the device, which converts light energy into short bursts of pressure. Instead of coagulating or damaging skin cells with heat, the waves of pressure disturb skin cells; a process that jump starts the body’s healing processes. 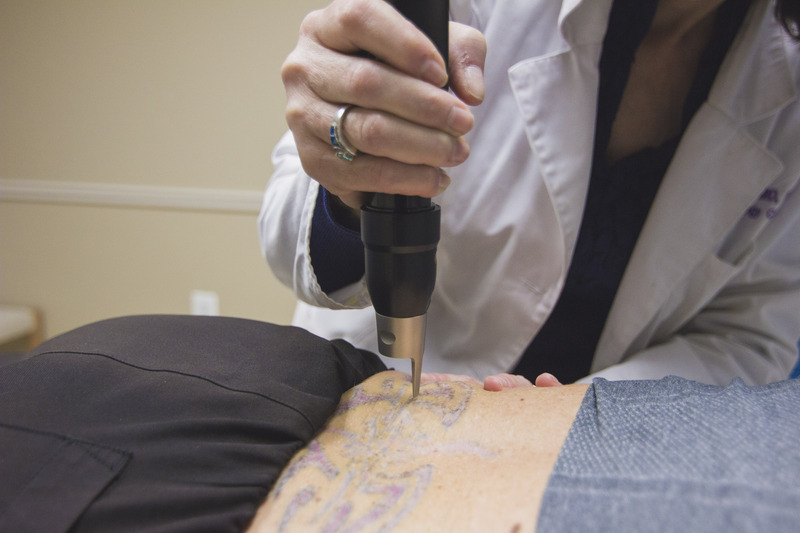 For tattoo removal, it relies on pressure waves to break down ink pigment in the skin. 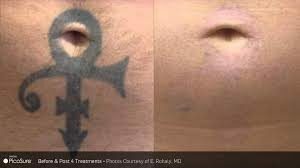 This causes the pigment to break up into much smaller particles, which are then removed by the body’s lymphatic system. Further, because it relies less on ability to heat up ink pigment, the device can even be used to remove more difficult colors, like orange and red, which are typically harder to target with traditional lasers. How Long do PicoSure Results Last? with you and provide a plan for your consideration. Please call our office to schedule your appointment today! 540-371-9098. ~ Individual results may vary and are not guaranteed.